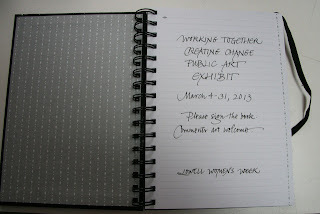 Here are two signs for the Lowell Women's Week Public Art Exhibit at Lowell City Hall. 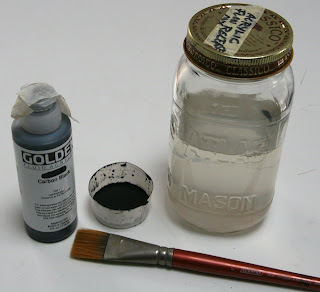 I used a one-inch Winsor & Newton Sceptre 606 brush and fluid acrylic with flow extender for the lettering. I have given up on mixing in containers that need washing and use cut down paper cups instead. The US letter sized paper was used in individual sheets which helped me gauge the size of the letters. 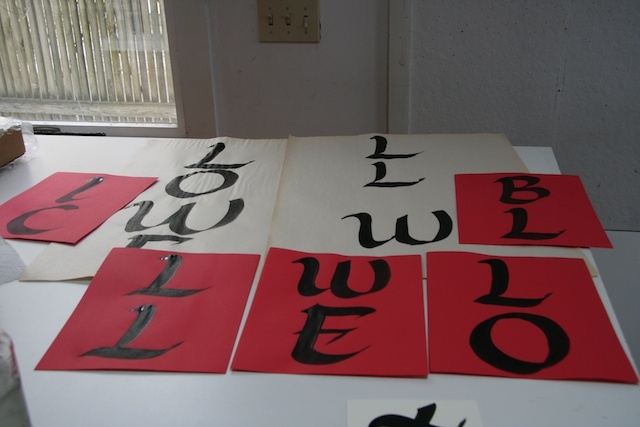 The individual sheets were then taped together. I have always loved using these these brushes, and especially making this style of caps. This particular style and size of letters rarely fits into any of my own projects so it was a special pleasure to do this work. Anne just came to pick up the sign and I helped label the Guest Book. 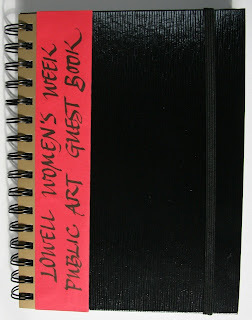 Lowell Women's Week is held the first week of March at the beginning of Women's History Month. 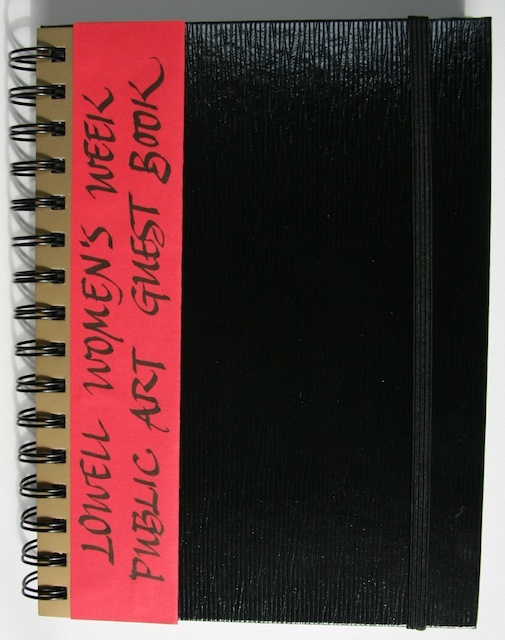 You can find a complete schedule of events at the Lowell Women's Week website.